The Notorious Meddler: Thanks For A Great Year! 9,300 visitors to The Notorious Meddler since Feb. 13, 2009. Thanks for your support. 2010 is off and running and I couldn't be more excited. The Notorious Meddler stories are published weekly in the Clinton County News and the Pickett County Press, which have a combined circulation of 5,600 readers weekly. 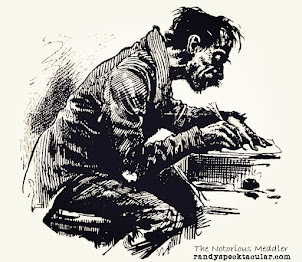 At the moment, my head is filled with so many new story ideas and I just finished writing, God Bless The Weary Well-Doer, which can be found at The Hour of Rescue. Please visit THOR and read this story. Who dat say gonna beat dem Saints?